Let’s get real for a moment: Liz Phair peaked early. Her debut album Exile in Guyville is an astonishing work of massive breadth and versatility. Songs like “Dance of the Seven Veils,” “Soap Star Joe” and the heartbreaking “Divorce Song” firmly established the Chicago artist as someone with seemingly unlimited potential, and despite a handful of good songs since then (“Polyester Bride,” anyone? ), Phair never quite delivered on the promise made by her first album. Of course, Guyville itself is so loaded with musical ideas, so jam-packed with different facets of Phair’s acerbic songwriting that it almost falls apart. 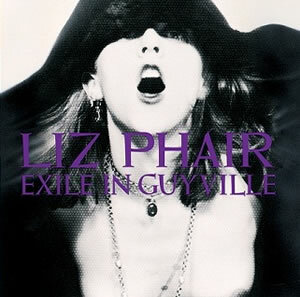 Supposedly intended to be a song-for-song answer to The Stones’ classic Exile on Main Street, Exile in Guyville arrived with a bang back in 1993, introducing us to Liz Phair with the blistering “6’1.” When Phair sings “I kept standing six-feet-one/instead of five-feet-two,” she’s almost frightening in her confidence. Considering the fact that so many artists are directly influenced by Phair’s wry, unvarnished take on reality, Exile almost seems fully aware of the splash it was going to make. When you’ve got a talent like Phair at the helm, capable of both the pop bliss of “Never Said” and the sparse beauty of “Explain it to Me,” it seems almost inevitable that she was going to make some sort of impact.